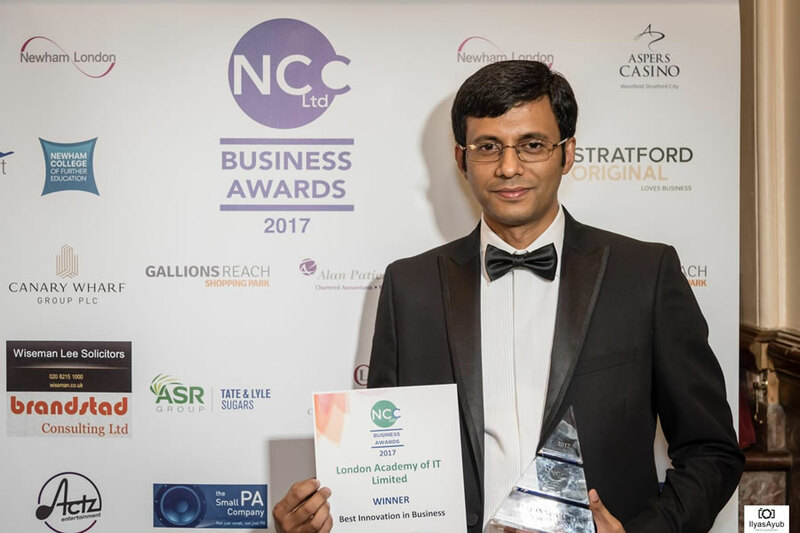 We are thrilled to have won at the prestigious Newham Business Awards in the highly contested category of Best Innovation in Business. 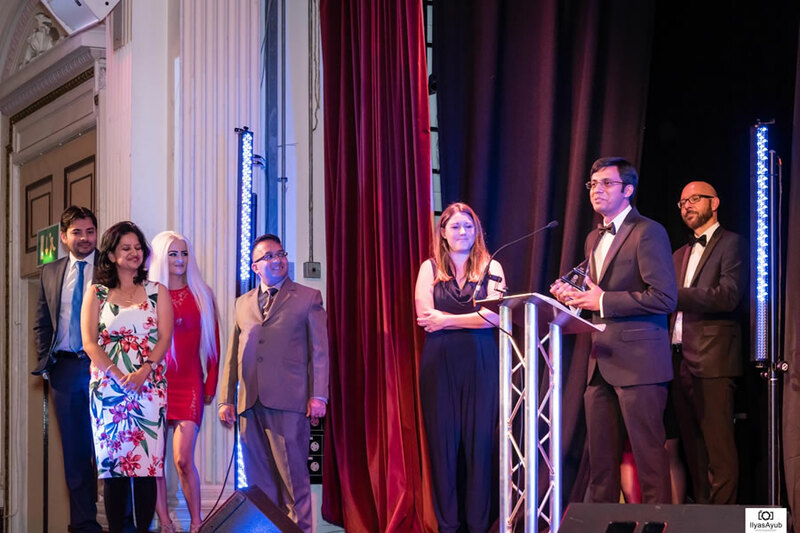 In such a competitive category with excellent shortlisted businesses, we are honoured to have been recognised for our creativity, innovation and commitment to sustainability. Having started as a small venture with just 3 courses delivered on weekends, London Academy of IT has expanded and grown into an efficient, innovative and current business offering 30 comprehensive short courses, delivered by trainers who possess a wealth of knowledge and practical experience. 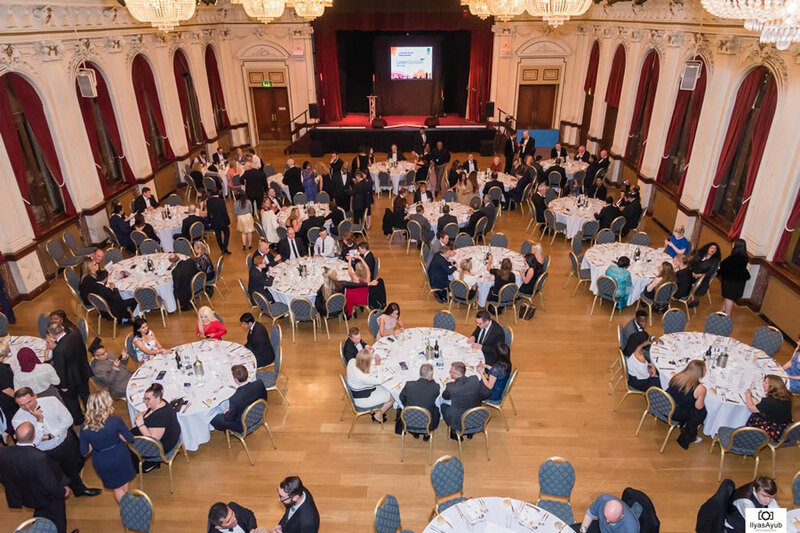 The glittering event was held at the dynamic Newham Chamber of Commerce at The Old Town Hall, Stratford on 5th October 2017. 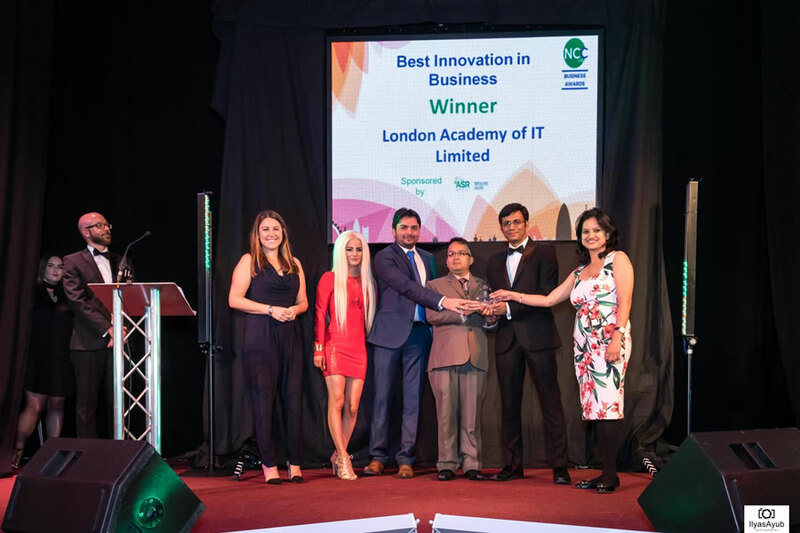 As one of the most popular training centres in London for Web Design, Programming and Database courses, we are delighted to have been awarded for our innovative products and services and how we use digital technologies to promote our business and raise it’s profile. A significant part of London Academy of IT’s innovative business strategy is our Integrated Online Training Business Management System which enables us to manage courses, students, bookings, content and admissions from anywhere, enhancing our efficiency and sustainability. In addition to this, our innovative digital media led marketing strategies have enabled us to transform our business by employing various technologies and tools including SEO, Social Media, CRM and Email Marketing, positioning ourselves at the top of Google search results. Sustainability and innovation in planning for future is important to us and we are constantly evolving and developing in this digital climate to ensure that we are providing an excellent and efficient service. Having conducted our research already, we intend to begin online training via modern technologies imminently where we can provide our training services on a global level. We believe this level of innovation is acknowledged through this award.